My mother has the best meatloaf ever on the planet. She does. Even when I copy the recipe it never comes out quite right. 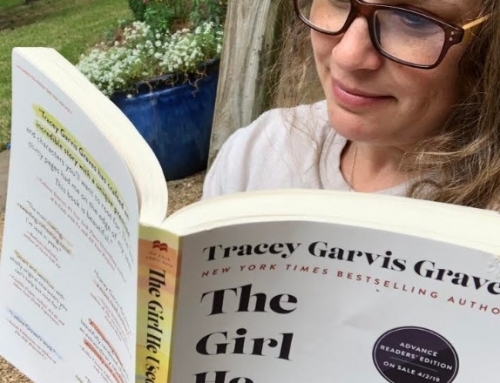 It does take a while to cook, however, and I am a ‘throw it in the slow cooker and go’ kind of girl. For a while now I have been looking for a slow cooker meatloaf recipe that could even compete with my mom. Thanks to Cucina Antica’s Tomato Basil cooking sauce, I have finally found it. 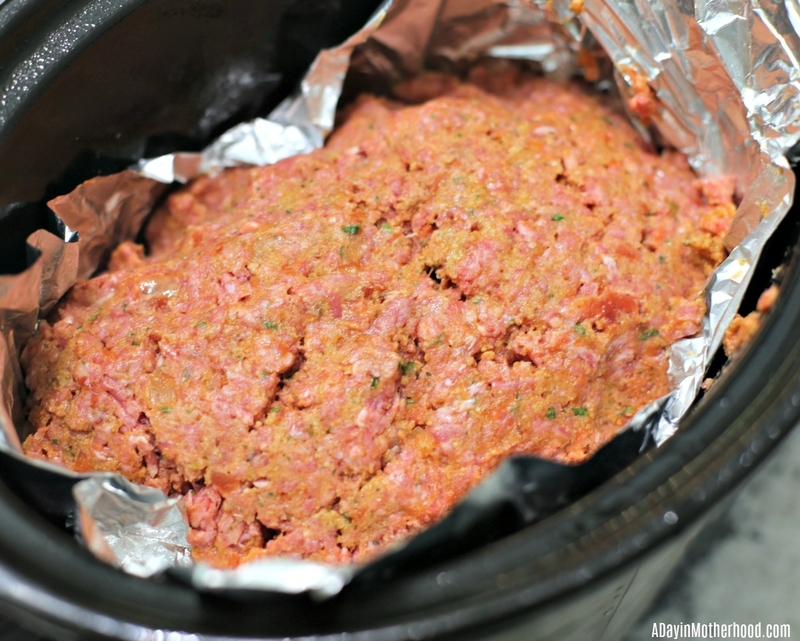 Moist, flavorful and incredibly easy to make, this 4 Ingredient Slow Cooker Italian Meatloaf Recipe will melt in your mouth with very little effort on your part! 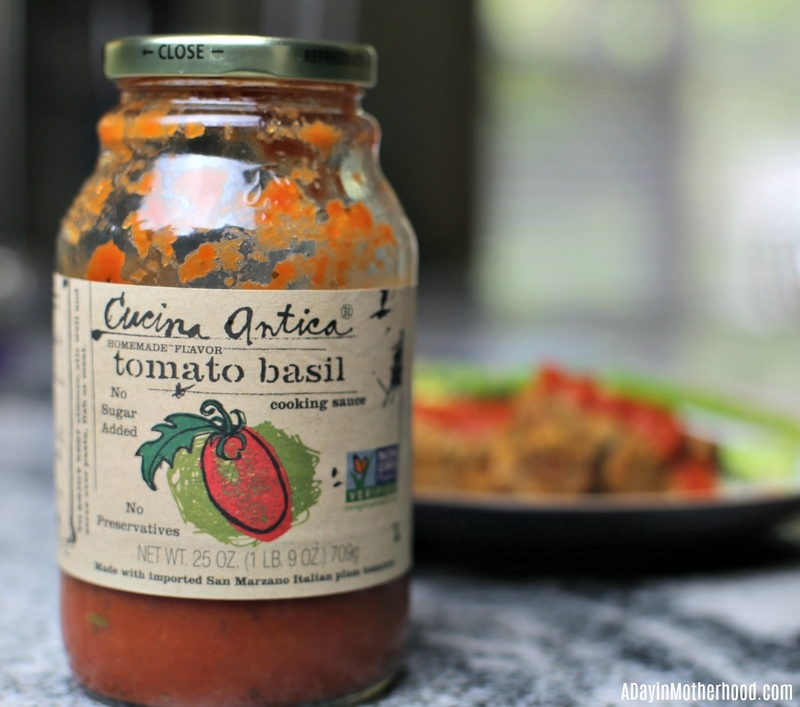 The secret to the flavor and the moist meatloaf that comes out of your slow cooker is the Cucina Antica Tomato Basil cooking sauce. This sauce is made with San Marzano plum tomatoes from Southern Italy. 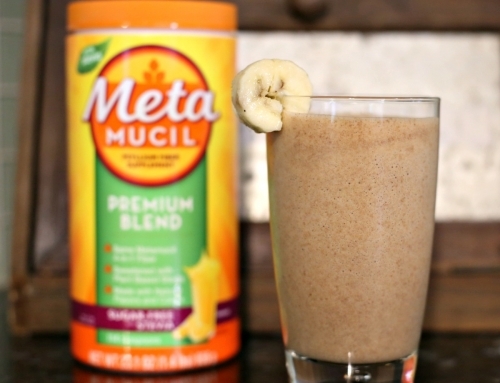 It has no preservatives, no sugar added and flavor for days. 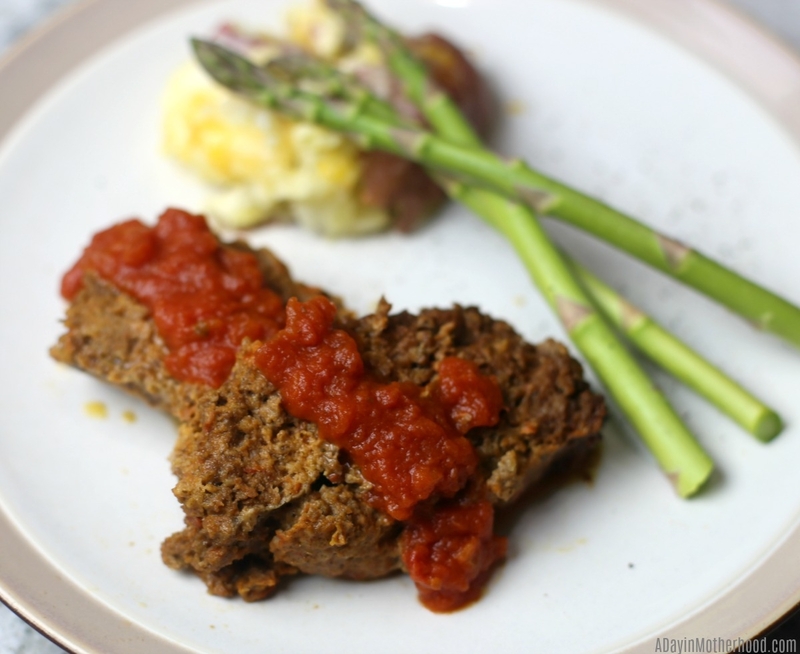 Without this sauce, this meatloaf would just not be the same! The next amazing thing about this recipe is that it is 4 ingredients only. Seriously, the less ingredients, the easier the recipe for me. The base is the ground beef and the topper is Cucina Antica Tomato Basil Sauce. Add eggs and bread crumbs and you are done! Now this recipe sort of happened upon me accidentally. I had intended to add bell peppers and a cup of Parmesan cheese to the loaf too and totally forgot. I also meant to add the Cucina Antica cooking sauce as a topper about 30 minutes before the meatloaf finished cooking. But I was on the phone and simply forgot to add all of the ingredients at the time. I also added the sauce before cooking because I was distracted. Instead of starting again I just let it cook, hoping for the best. 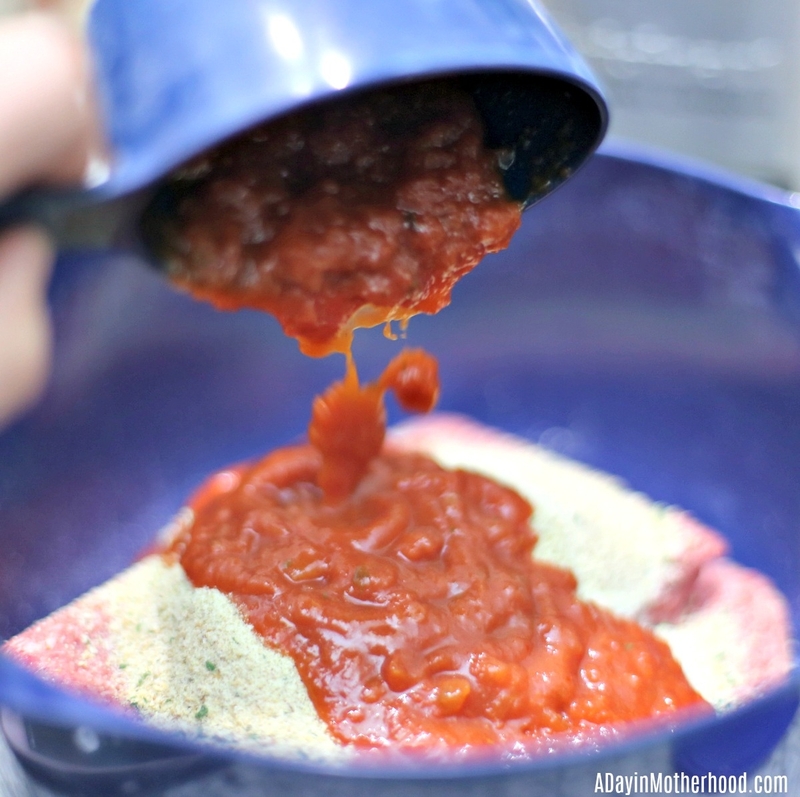 I am glad I did because adding the sauce for the entire cooking process made this Italian meatloaf so incredibly moist! It is DELICIOUS! 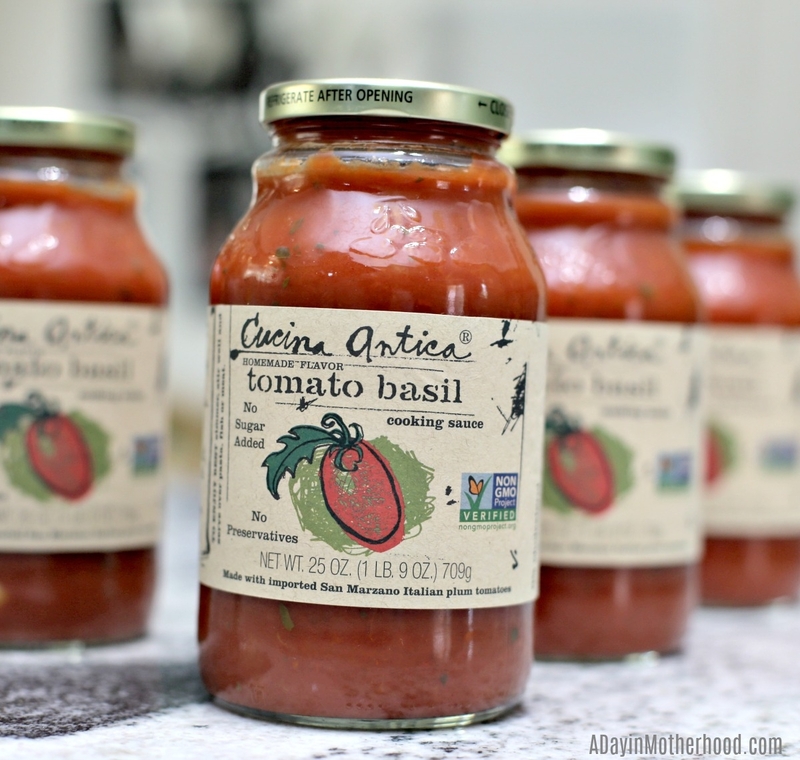 When you are out shopping grab some Cucina Antica Tomato Basil cooking sauce and the three other ingredients for your slow cooker. 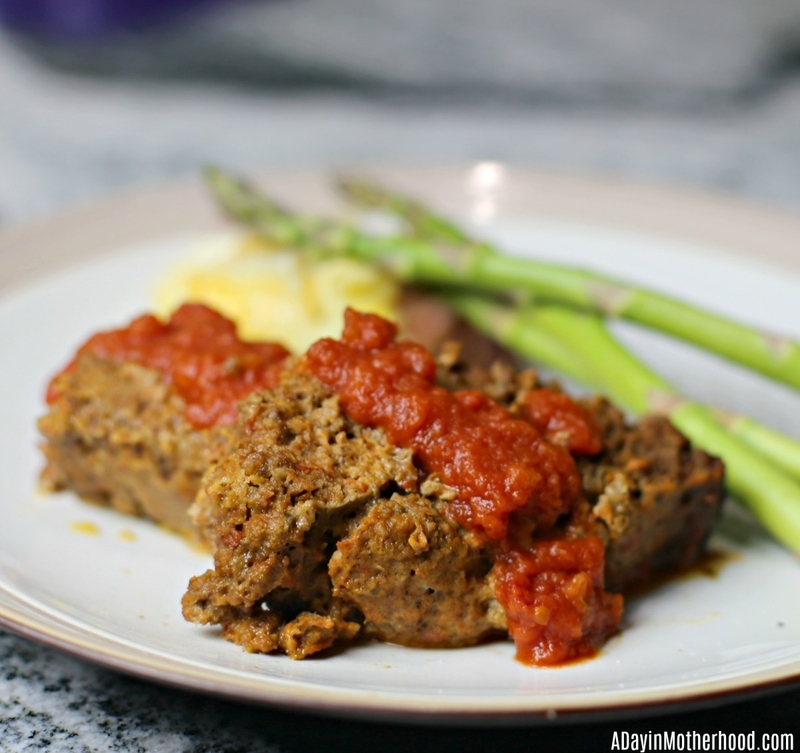 Your entire family will love this meatloaf and you will love the ease in making it! My mom’s recipe has a real competitor!